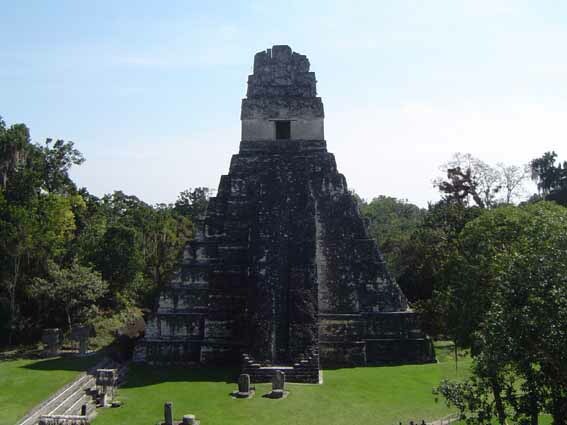 Ancient Mayan and Indonesian Temples have a strange number of things in common. These are two completely separate cultures and civilizations. They exist on opposite sides of the planet, separated by the Pacific Ocean. Secular history teaches us that these Ancient Civilizations had no contact with each other. So how is it that they built the same buildings and worshipped the same gods? In fact, these similarities are not just amongst Mayans and Indonesians, but an uncountable number of other Ancient Civilizations as well. What similarities, you may ask? One obvious similarity that we all know is the existence of Pyramids all around the world. Pyramids have been discovered on 6 continents around the world, and who knows, there’s probably some on Antarctica as well. Of course, Egypt is world-famous for its Pyramids of Giza. 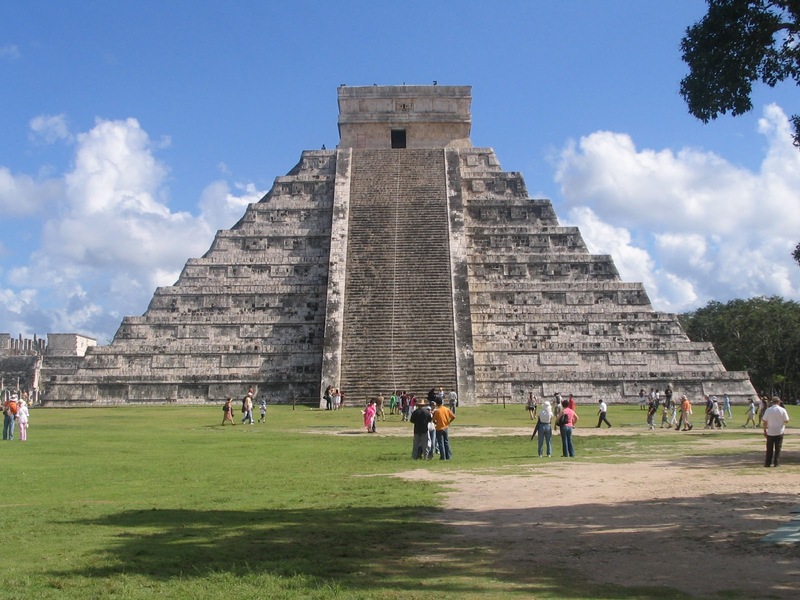 The Aztec and Mayan Pyramids around Mexico and South America are also quite well known. But how about the hundreds of Pyramids in China, the massive buried Pyramids in Indonesia, the underwater Pyramids off the coast of Japan, hundreds more that I haven’t listed, and who knows how many others there are left to uncover. Odder than the separation of miles is the separation of time. But that’s really a question for another day. And as for my personal theory regarding ancient cross-culture similarities – well, that’s for another day as well. Here are a few photos for you to analyze and let the theories run wild. Chichen Itza, Mexico. Mayans Empire, between 600 – 900 AD. Copan Temple, Honduras. Mayan Empire, 5th century A.D. or before. 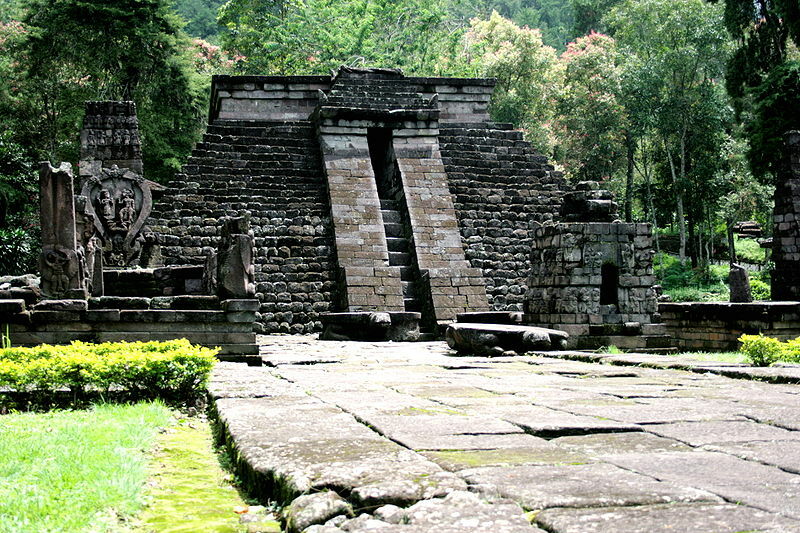 Candi Sukuh, Central Java, Indonesia. Supposedly a 15th century Hindu Temple. The odd thing about this being a 15th century structure, is that nothing else built during that era looks anything even vaguely similar to this. 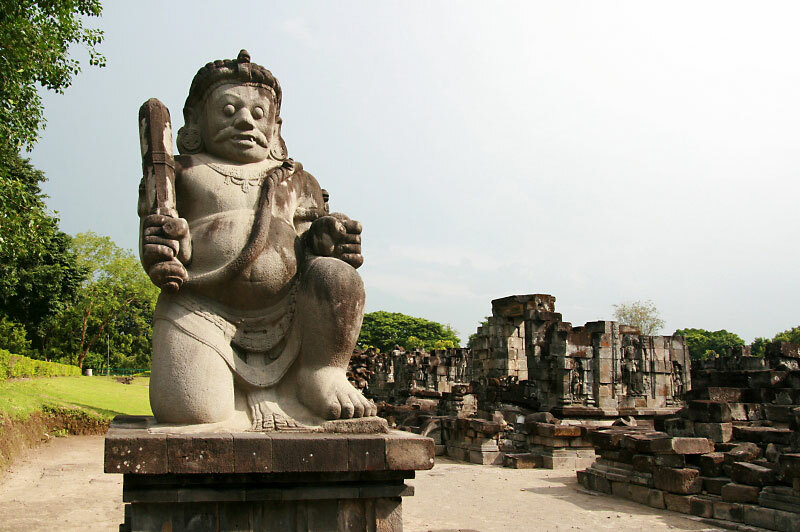 Extremely intricate structures, such as Borobodur and Prambanan, were built in the 9th Century -- long before the 15th century. The structure pictured above is clearly much older than that. Tikal Pyramid, Guatemala. Mayan Empire, 400 B.C. 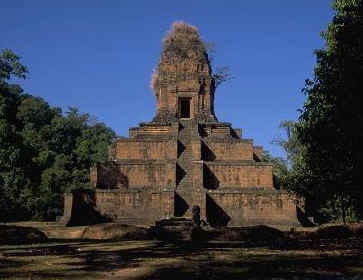 Ak Yom, Cambodia. Khmer Regime, 900 A.D. This is the oldest temple in the Angkor complex. The exact date of its creation remains undefined. 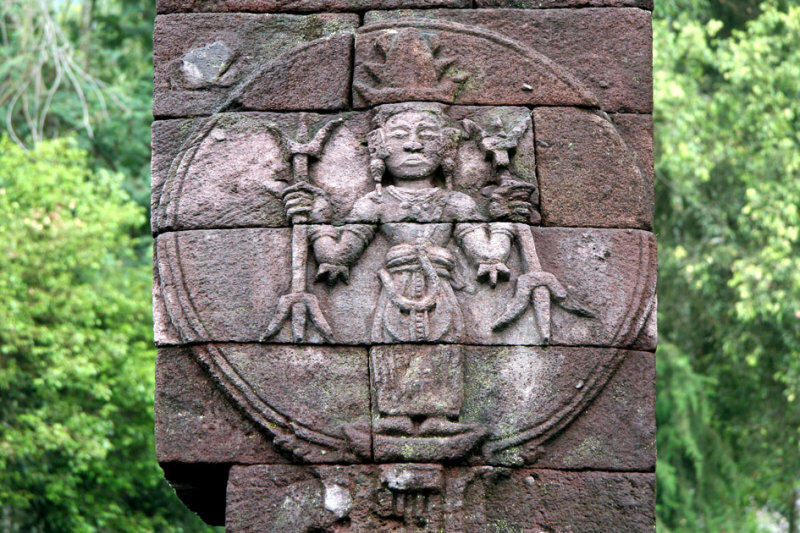 Candi Sukuh, 15th Century Hindu Temple, Indonesia. Gate of the Sun, Bolivia. 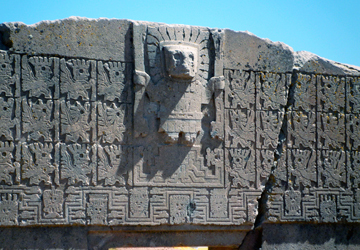 Tiwanaku Culture, 1500 B.C. Update to #3: This particular image is actually called the "God-Self Icon." It is found in many more countries than I mentioned above, including Turkey, Afghanistan, Egypt, India, the Andes, and many more. The God-Self Icon was first discovered by journalist and author, Richard Cassaro. This is what he has to say about the God-Self Icon. Dwarpala, Candi Sewu, Indonesia. Mataram Kingdom, 782 A.D. Simian Sculpture, Copan, Honduras. Mayan Empire, 5th century A.D. or before. If you note the dates on these two "Dwarpala" Statues, you'll see that these two temples were actually built during the same time period. This is particularly strange, as one is a Hindu Temple in central Java, while the other is a Mayan Temple in Honduras. So, were the Mayans actually Hindu? Or did Javanese somehow adopt Mayan culture? Or was there perhaps a third, outside influence that they both followed? You’ll actually find a lot more posts like this floating around the internet. These include an almost exact replica of Dwarpala, which many claim is found at Chichen Itza. 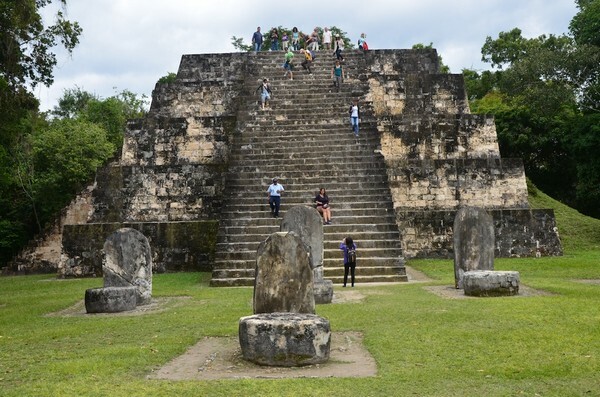 However, you will only ever see the exact same photo of “Mayan Dwarpala,” and only on posts such as this – never just in actual photos of Chichen Itza. This leads me to believe that that particular claim is false. 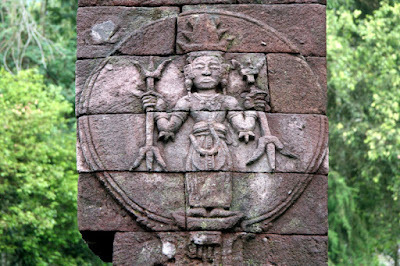 There’s also another image of a relief at Candi Penataran which depicts a demon with his tongue sticking out. This is supposed to bear resemblance to a similar relief from a Mayan temple in Mexico. Although I have no doubt that such a face appears in multiple places across Java, I simply cannot place it in Penataran itself. Anyway, let’s ignore the fakes for now. Undoubtedly, there are many more real similarities that span various civilizations across oceans and across time. When I find them, I’ll add them in. Hi, Your article cites sources, and you seem like a very nice person who is looking for answers to important questions, and I admire your effort. The item you have posted for #3 is called the "GodSelf Icon." I discovered it many years ago, and a good deal of my research is based on it. I published my discovery of the GodSelf Icon in my 2011 book, Written In Stone. Shortly after, I wrote and posted an article on it online. Here is a link to my published article: http://www.richardcassaro.com/pagan-god-self-icon-found-worldwide-rewrites-history-reveals-lost-golden-age-religion It would be great if you could provide proper author citation, as this is one of my most important discoveries and it forms a very important part of my research. Thanks! No idea that was your discovery. I actually just noticed that while I was browsing some pictures of ancient temples. Anyway, I have added a footnote after point 3. Thank you, Lovina, I appreciate your integrity. I cannot access this link. You are free to post that picture as an adition to your blogpost Lovina. but yes you are right if you came to same conclusion. Which particular temples are those in the pictures? I recognize some, but not all. 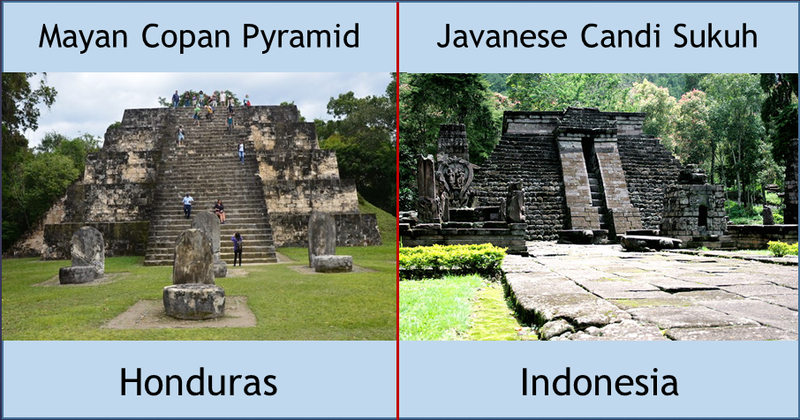 You seem to give a very broad definition to Mayan culture and Indonesian culture if you are also grouping them into Cambodia (Phnom Bakeng in point #2) and Bolivia (Gateway of the Sun #3). Hmm. You're right actually. This is probably a bit too general. I should make a more detailed one soon.